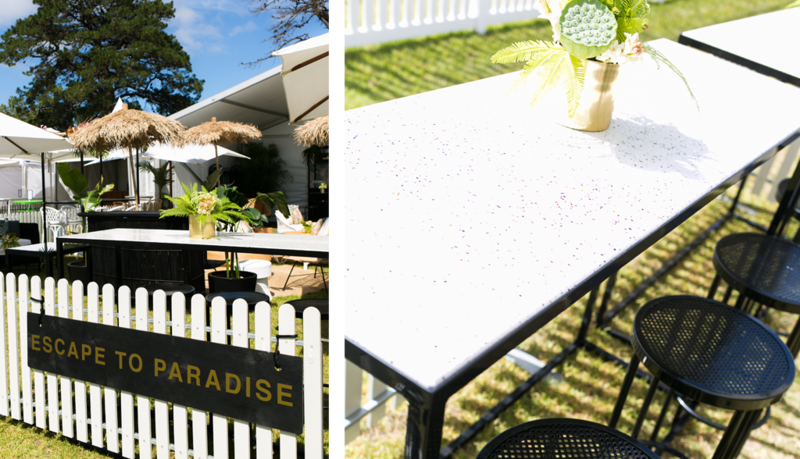 On 25 February, we invited guests to ‘Escape to Paradise’ in our oasis at the Alfa Romeo Ladies Day at Werribee Polo. 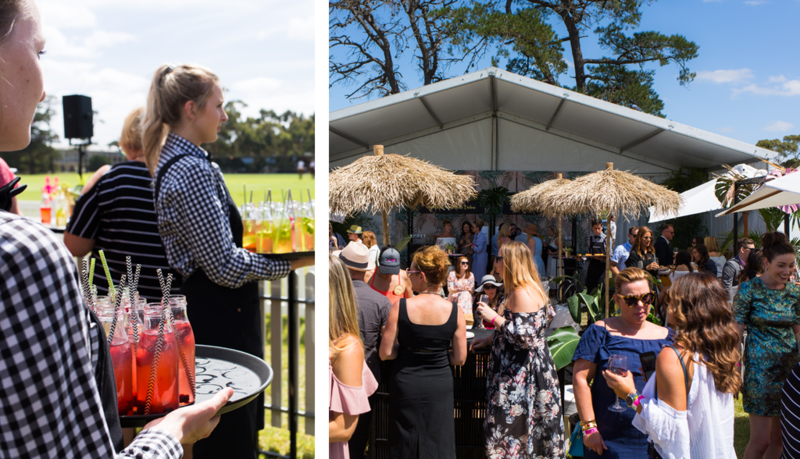 The mood was vibrant amongst the sunshine, socialising and Polo action. 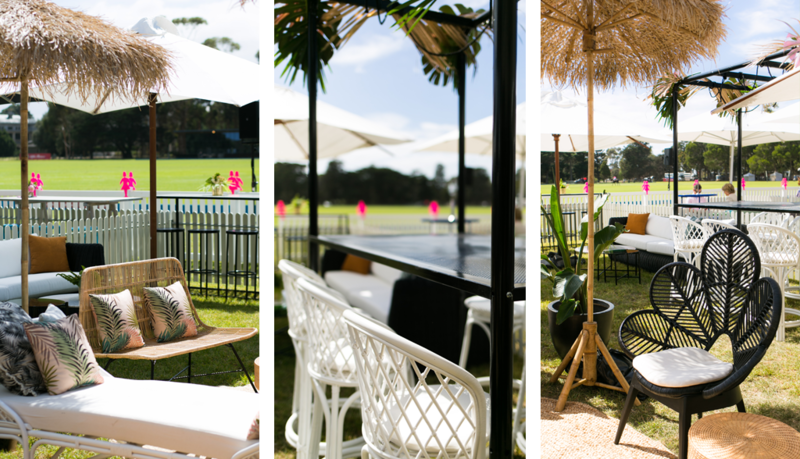 Lounging details from the day included our black Madison three seater, white Ziggy daybeds, black Ziggy flower chairs and natural Ziggy two seater lounges accessorised with new Loco palm & Cuba cushions. 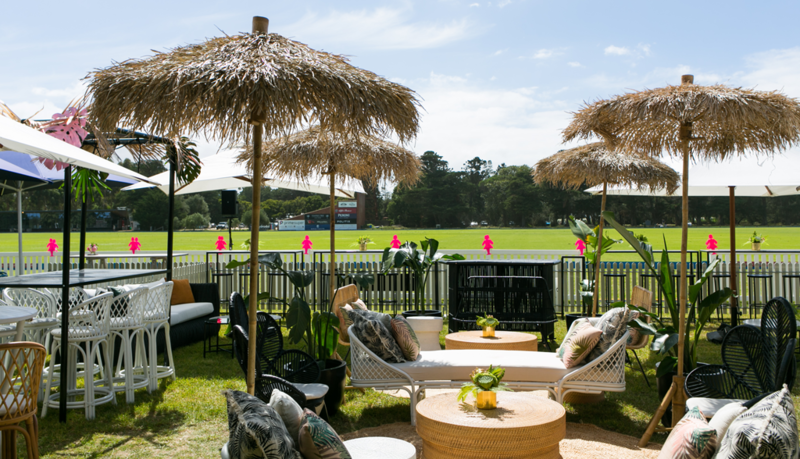 Our black Bijoux high bar tables with a nougat terrazzo top, paired with black Havana stools provided the front row seating to view all the polo action. 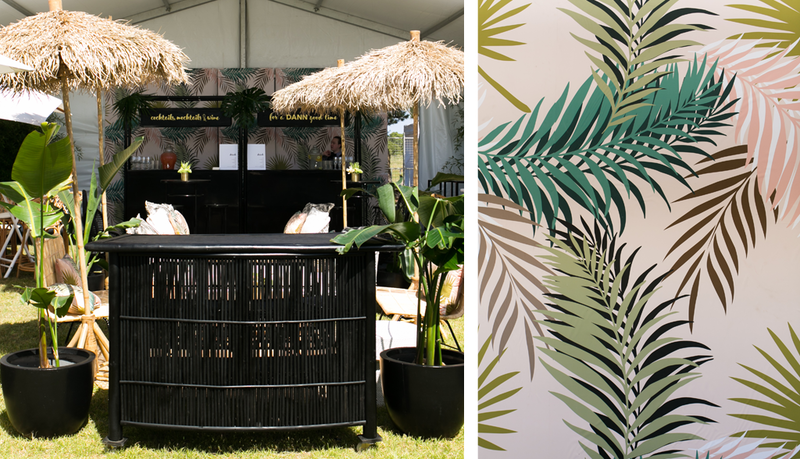 Botanical Events provided the lush on theme green styling throughout the site, including the sprayed palms garnishing our Havana High bar structures. 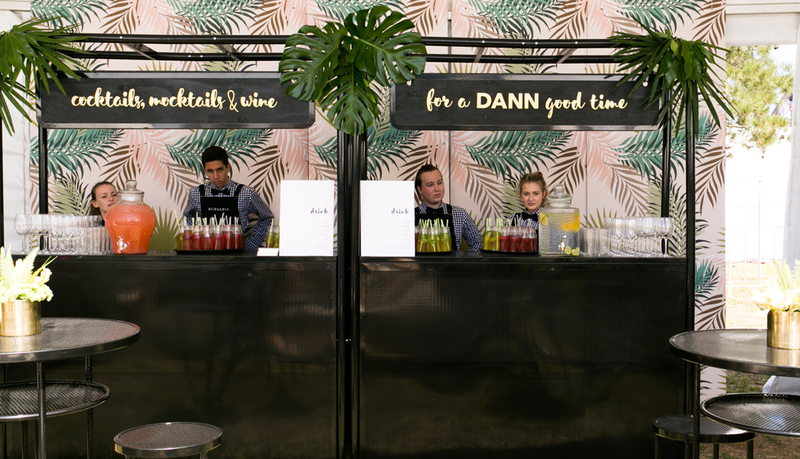 Our Havana Pop up service bar structure was the go-to destination for a Dann good time. 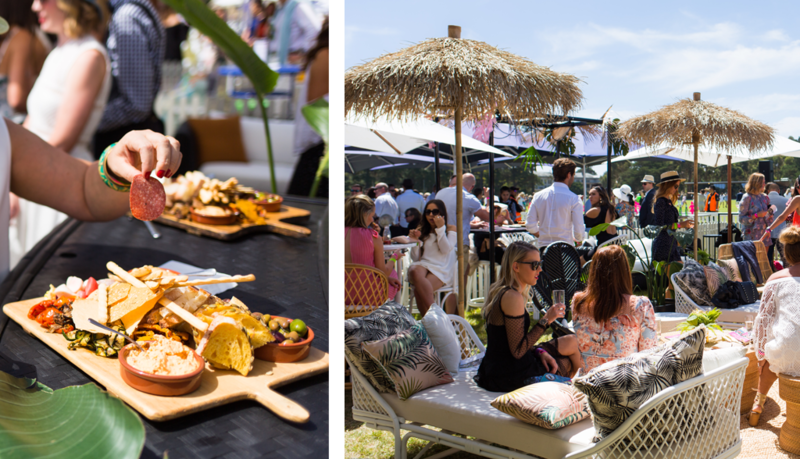 Catering extraordinares Bursaria provided an indulgent selection of food and drinks throughout the day, keeping our guests with full tummies and happy vibes. 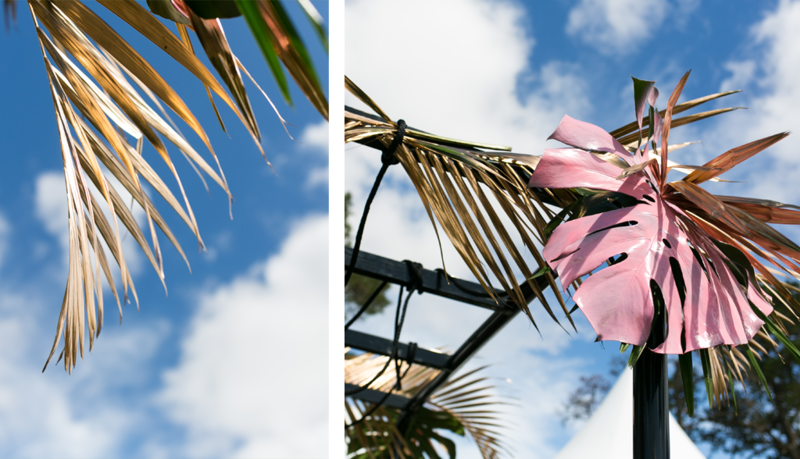 PHOTOGRAPHY: Hikari Photography FURNITURE & DESIGN: By us!